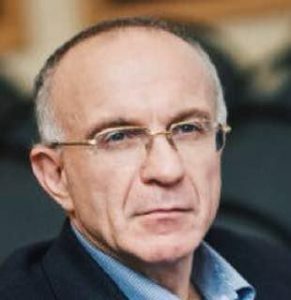 Isak Froumin is a Head of the Institute of Education at National Research University “Higher School of Economics” in Moscow (Russia) – first graduate school of education in Russia. His responsibilities also include advising the university strategic planning and international cooperation. Prof. Froumin was leading the World Bank education program in Russia from 1999 to 2011. His World Bank experience also extends to the projects in Kazakhstan, Kyrgyzstan, Afghanistan, Nepal, Turkmenistan and India. In 2012 – 2016 he was an advisor to the Minister of Education and Science of Russia Federation. His current key research interests include development of education systems in transitional economies and educational and life trajectories. Accelerated Universities: Ideas and Money Combine to Build Academic Excellence / Ed by P. G. Altbach, L. Reisberg and I. Froumin, 2018. Loyalka P., Carnoy M., Froumin I., Dossani R., Tilak J. B., Yang P. Factors affecting the quality of engineering education in the four largest emerging economies // Higher Education. 2014. Vol. 68. No. 6. P. 977-1004. 25 Years of Transformations of Higher Education Systems in Post-Soviet Countries. Reform and Continuity / Ed. by J. Huisman, A. Smolentseva, I. Froumin. Palgrave Macmillan, 2017.